Bettas are a long-time favourite of many fishkeepers: betta shows are held all over the world and there are many hobbyist breeders. Available in many colors and fin shapes, it’s no wonder this little insect eating fish with a history is one of the most popular aquarium fish around. Keep reading for everything you need to know about keeping Betta splendens! Betta fish are naturally found in Thailand and Cambodia, usually in small ponds, rice paddies and slow moving rivers with lots of thick vegetation. To be able to survive in these areas, where the water often dries up to small puddles in the dry season, Betta fish have developed the ability to jump from puddle to puddle and breathe small amounts of oxygen from the surface using their labyrinth organ. This is likely what spawned the myth that they can live in small amounts of unfiltered water, like cups and vases. Their appearance is what made these fish so popular! Selective breeding has resulted in endless color and fin shape combinations, often with pretty exotic and interesting sounding names. The most common fin shapes include veiltail (the most common variety), plakat (short finned), double tail, crown tail and half-moon. Most of the Bettas found in your average pet store are males, that can be recognized from their large, flowing fins, which they flare out when trying to impress and intimidate another male. Females have much shorter fins and are often less colorful. 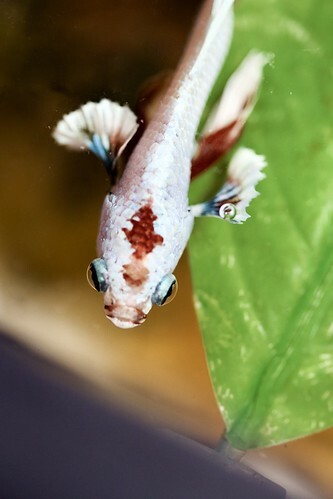 This sometimes leads to confusion: short finned (plakat) males are occasionaly mislabeled as females, so be careful when buying a “female” betta. You can find more info about keeping female Bettas here. Their fins might be shorter but they’re just as feisty and fun as their male counterparts! Contrary to belief spread mainly by pet stores, Betta fish cannot live in a cup, and won’t ‘freak out’ in larger spaces. They are tropical fish that require a heated, filtered and preferably rectangular tank of at least 5 gallons with a lid. Bettas can breathe air at the surface, so they should always have the possibility to do this. To make them feel safe, a planted tank and calm tankmates are recommended. The aquarium should always be fully cycled. Tanks like the ‘Betta peace lilly’, wall mounted bowl, tiny “aquaponics systems” and “self cleaning tanks” are not proper living space for a betta and should always be avoided. More information about why betta bowls are bad can be found here. More information about proper betta aquariums, equipment and tankmates can be found here. The Betta’s upturned mouth reveals what it likes to eat in the wild: insects that have fallen in the water. Mosquito larvae, zooplankton and occasionally small amounts of vegetable matter are also in the wild Betta’s diet. In captivity, Bettas should be fed a varied diet, consisting of high quality Betta pellets like Omega One Betta Buffet Pellets or New Life Spectrum Betta Formula and other foods containing animal protein, like mosquito larvae, bloodworms, brine shrimp and small live shrimp. Be sure not to overfeed your Betta. Although they are great at begging for food and seem hungry all the time, they only need a small amount of food once or twice a day. Skipping a day, for example when you’re away, is not a problem. 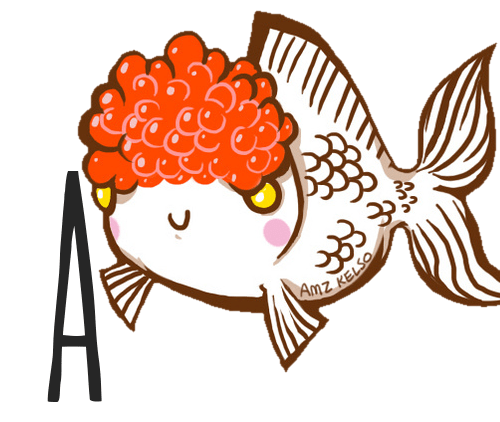 More information about what a good betta diet looks like can be found here. 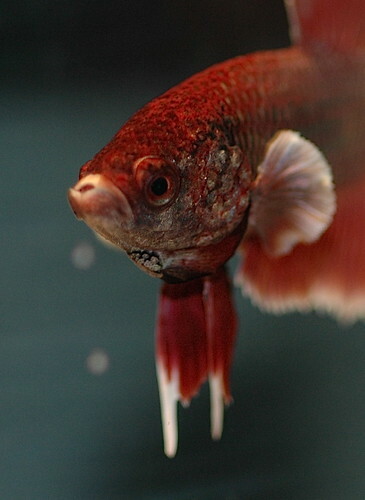 Although many guides list building bubble nests as the best indicator for whether a betta is happy and healthy or not. However, even sick bettas in tiny cups will sometimes do this, so whether your betta makes bubble nests or not says nothing about its condition. A healthy, happy Betta is curious and active, and will usually flare when confronted with a mirror. Other signs that your Betta is doing well are begging for food, getting excited when you enter the room and patrolling the tank. When provided with the right kind of aquarium, Bettas are gorgeous fish with a huge personality towards both their owner and their tankmates. If you’d describe your Betta as ‘boring’, then there’s probably something wrong. Sick or unhappy Bettas show symptoms like lethargy, paleness, fins rotting/”melting” away, hiding, scratching or being skittish. Breeding Bettas is considered to be fairly easy. The male and female should be healthy, well-fed and roughly the same size to prevent injury, and water quality in the breeding tank should be high. The female is usually introduced into the male’s tank for the spawning process. The two should be allowed to get used to each other for a few days before being put into the same tank, which is usually done by placing their aquariums next to each other for a while. The male is then moved to the breeding tank, and after a few hours of acclimating the female is put in a vase or behind a clear divider inside the breeding tank until a bubble nest has been built. When the female is released into the breeding tank, the couple will usually bite at each other’s fins for a bit before starting the spawning process – it sometimes takes a few days before they are ready to spawn, but it’s not uncommon for them to start right away either. The female follows the male to the bubble nest, where they embrace. The female releases her eggs and will usually sit motionless while the male picks them up from the bottom of the aquarium and puts them in his bubble nest. The female should now be removed from the tank to prevent her from eating the eggs or being attacked by the male. The male is left in the breeding tank with the bubble nest and eggs until the fry are free swimming or until he starts eating them. The fry will live off their yolk sacs for the first few days, but as soon as these are gone you should start feeding lots of tiny portions of infusoria throughout the day. Other foods, like newly hatched brine shrimp and microworms, can be fed when the fry is at least two weeks old. Uneaten food should carefully be removed, as stable water values are very important. This also means doing frequent water changes. The fry grow quite slowly, but should eventually be separated when the males start becoming aggressive. Females can stay together in the same tank. If you have any additional questions about keeping bettas or if you want to share your own experiences with them, leave a comment below. Happy Betta-keeping! hi, i have a male betta i got from pets at home. hes in a 5 gallon tank with a filter and heater but i didnt cycle it because they didnt tell me i had to do that, they said i could just put him in. since i realised that i started doing 30% water changes twice a week and ive ordered a test kit. should i go buy some stress coat too? will it make him happier with the water changes? i also got some more natural gravel and his tank is full of live plants. is there anything else i can do for now until the tank is cycled? should i do more or less water changes? oh and i called pets at home and they said because ive had him more than a week they wont take him back, and no animal shelter near me takes fish, so the only place he can be is with me. im getting some gravel from my friends parents who have fish tanks to boost the cycle too. and i put aqua pure aquarium balls in his sponge filter because i read they have helpful bacteria in them. Hi! Sorry to hear you got misinformed at the pet store, it’s annoyingly really common. However, it sounds like you’re getting stuff right now so I have good hopes for your fish. While cycling you do extra water changes to keep the water quality in check, some people like to do a change every day. It lengthens the cycling process but alas, if you’re fish-in cycling it’s the only option. If you can get gravel from your friends parents, can you get a piece of their filter sponge instead? The gravel doesn’t really transfer the bacteria well, but filter sponge does so amazingly. Also order some bottled bacteria while you’re at it, it gives things a good boost and can shorten your cycling time. Something like API Quick Start or whatever is available. Stress Coat should be good but it’s not an absolute must. Thank you so much! I started doing 20% changes every day and my levels are more stable. I test the water before I change it and afterwards and its cutting my ammonia almost in half every day. It gets lower every few days too. I’m going to get some quick start if they have it at the fish store! And I’ll definitely get some of the filter sponge instead 🙂 I also moved everything (including filter) to a 10 gallon and added more live plants and hiding places. I took out all the possibly sharp stuff and my betta is doing great now! He has an air stone too. He seems to recognise me! when I come near the tank he gets excited but doesn’t get excited when it’s anyone else 😀 I think he just knows I’m the one who feeds him lol! So glad to hear the water levels are more stable and your Betta is doing well so far! Sounds like everything will turn out just fine, thanks for the update. And yes – I used to have my Betta tank next to my bed and the little guy would go crazy as soon as I rolled over in the morning, haha 🙂 they definitely get used to you. Best of luck, if any additional questions pop up let me know. I would be looking at my set-up way before I’d start considering stuff like this. Does the aquarium your fish is in match the description in this article, and have you tested the water with a liquid test kit? Fish refusing food is pretty much always the result of a health issue. Sorry to hear that! Actually, you might want to try daphnia. It’s usually considered the #1 choice for constipated fish. Hi! I’m a new fish owner and am looking to give a fish a good home. I immediately thought a Betta because they often aren’t treated well or housed in proper conditions. I was wondering how to raise the pH level it if is down. Also I feel bad leaving a Betta at home while I’m at school. Is there any toy(s) you recommend? Also is there any kit you recommend because I’ve been looking at kits and they are missing something. I love your site and it’s been very educational! Keep it up! Why would you like to raise the pH? Bettas prefer it relatively low. Adjusting your pH can cause swings, which is often much worse for your stock than slightly low pH itself. Bettas are solitary animals that won’t mind being alone at all. If your tank is heavily decorated (as it should be) your Betta will spend most of its time patrolling its territory. So you can provide stimulation with plenty of live plants, hiding places and resting spots. Avoid things like Betta mirrors, which make your fish think a rival has entered its territory and stress it out to no end. I lost my betta rather recently, to… sort of unknown causes. One day I was feeding him and he had a large hole on his side that was not there before. I never found out how he got it. I’ll admit I probably shouldn’t have had a betta because at the time I hadn’t done much research on betta care, but i’ll be ready for the next one! So I’m on my second Betta fish. He is in a 5.5 gallon tank with a Neo-therm heater set to 78 degrees F and an adjustable flow filter. I also have two plants in there and a nice hiding spot (ship). My first Betta lasted 8 months with everything above but the plants. He started to get lethargic and then I think he got dropsy. I learned that I may have overfed him so I’ve cut back on food for the new fish. I was also only performing a partial water change every two weeks off of some bad advice so I’m increasing that to weekly. I have API Quick Start, Stress Coat, and freshwater Aquarium Salt that I plan on putting in every water change. My question is, am I missing anything? I was thinking maybe some API Algaefix but the tank isn’t next to a window or anything. I also don’t know what the plants need exactly besides light and water but I know they sell plant food stuff in the store. What should I be putting in there every water change? -No aquarium salt please. I know many aquarists recommend it with a few different arguments but it is unnecessary and can actually harm the fish. Freshwater fish are freshwater fish for a reason. -Algae fixing products are unnecessary and can do more harm than good even when you do have an algae problem. Fix the underlying nutrient imbalance, not the symptoms! -Liquid aquarium test kit. Do you have one? Probably the most crucial piece of equipment of them all. If your tank isn’t properly cycled your betta is at risk. -What your plants need depends on what kind of plants you have. Many of the easier plants will do pretty alright without any additional fertilizer, Co2 or very strong lights. Many of the more demanding plants do need a lot of special care and are not ideal if you’re not “devoted” to your aquascape. Ok yeah the tank is cycled and I have the API Master Test Kit. A question you might be able to help with is Betta boredom. He is in my bedroom and I have a tv so he likes watching me move about and the colors. On the other hand I’m gone for 10 hours 5 days a week if you count my commute so I’m worried he will get bored. I don’t really want to put a mirror in there because I don’t want to stress him out and the floating log in stores takes up quite a lot of room in my 5.5 gallon so I took that out. Have you had any luck with particular playthings? I love your website! I recently started working for PetSmart and will soon work in the petcare department. I know about and have lots of experience with small animals but not with fish. I really would like to educate myself better to help improve the lives of the fish. There are so many people coming in with fish questions and also to return dead fish. I would like to address the problem or avoid selling a fish to an inexperienced person. But im glad I found this site! Its proved very useful so far. That’s fantastic to hear! If you’re looking to learn, there are also some great fish forums out there where people with lots of experience discuss the hobby, it’s really helpful. It is also good to remember the local laws. As far as I know, USA doesn’t have many (if any) laws considering animal welfare for fish, but for example, Finland has much stricter laws. No fish are allowed to be in smaller than 40 liter (10g) tank (and there are species-related laws too), so if you lived here and put betta into 5 gallon, you’d be breaking the animal protection laws. Well, I own nine bettas, and I have generally found that technically one gallon is the minimum for females, 2.5 per male, but that set-up does require quite a few water changes. And 8 gallons is by no way anywhere near the max! I know somebody with a betta in a 125 gallon tank. Setups as small as the ones you mentioned cannot be kept safe without the use of an automatic drip system. I hope you’re not keeping your bettas in such small tanks? It’s more important to keep bettas in adequate housing than to own as many bettas as possible. I agree that 8 gallons is not the max, I’m not sure where you read that! I kept my bettas in 15 gallons. Oh, it was just the way it was phrased 5- 8 gallons. I was referring to water quality with the automatic drip system. Many of the betta breeders I know keep their bettas in very small housing as well, but they have these drip systems or are able to do water changes every day. They keep their bettas in these containers because it’s not possible to house all of them in normal setups, but this doesn’t mean that we should do the same. These people have years of experience and they know what they’re doing. Apart from that, even if it’s possible to keep a betta in a very small setup, doesn’t mean we should do it. A tiny, bare tank will always be more stressful for bettas than a normal setup. Like you said, it’s not a good idea at all to tell people that very small setups are okay, even if it’s technically possible in some situations. It ruins the hard work many betta keepers have done to raise awareness on betta care. I own 5 Bettas, and when I found this website I was so happy. Keep updating, I love to read them! Thank you! I’m loving running the site so far, so I’ll definitely keep updating.